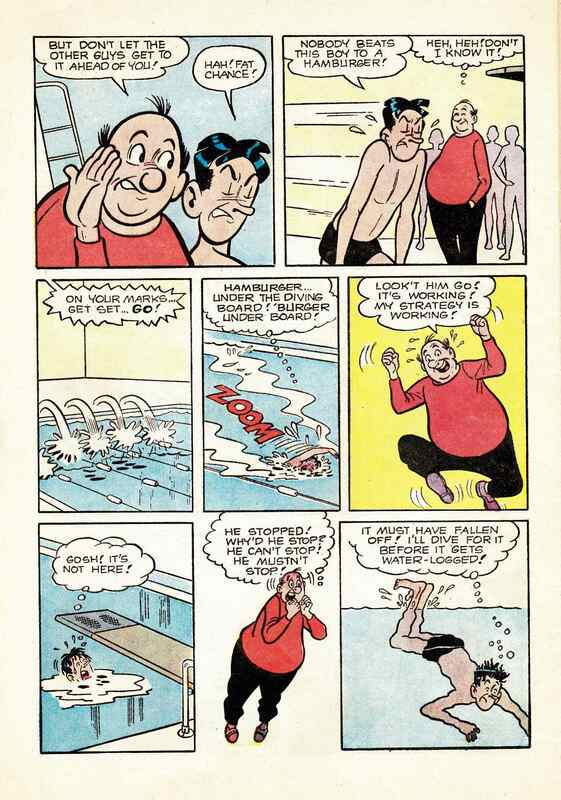 I posted the cover of Archie’s Pal Jughead #103 six days ago in a post entitled “Ebay Wins: Schwartz, Marek, Bacon,” at which time I wrote, “it’s not the oddly composed cover of Archie’s Pal Jughead #103 that caused me to buy it — nose meet pocket; pocket, nose — but the interior art. Can you guess why?” Well, the reason is that I think it’s always cool, when one owns a piece of original comic art, to own a copy of a comic in which the page was printed. Also, by having the comic at hand, I am able to post a decent scan of the printed page along with a digital photo of the art on this blog. 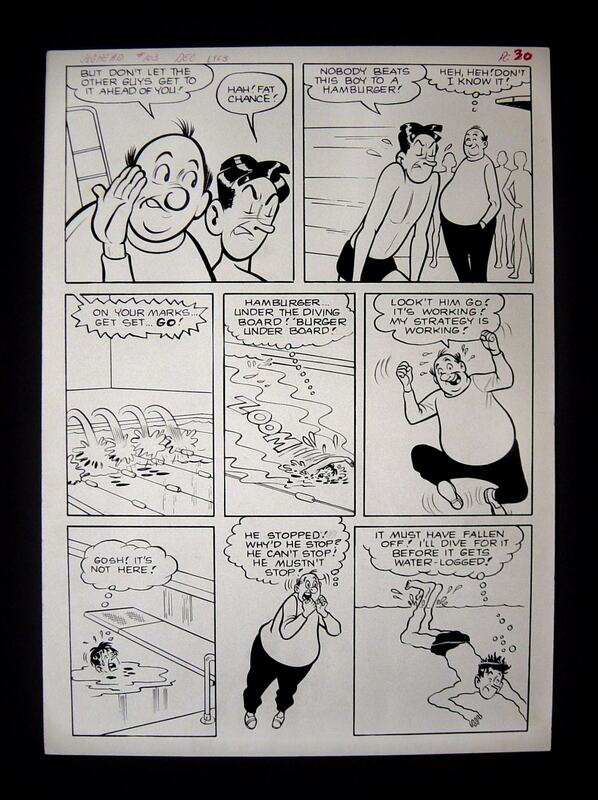 Along with the above page, my wife and I also own the original art of a complete story drawn by Samm Schwartz, “Color Me True Love,” Jughead #321 (February 1982), created about 19 years after “In the Swim,” but still clearly by the same hand, guided by the same minimalist artistic sensibility.